During the exploration bidding process, operators are required to produce their proposed environmental impact plan to the Environment Agency (EA) in England, Natural Resources Wales (NRW) or the Scottish Environment Protection Agency (SEPA). These bodies state that this plan must contain a hydro-geological assessment, producing details of the current status of groundwater or surface water and proposals on future monitoring of any changes to these water features during the exploration phase. Before any of these projects commence the prospector (operator) must conform to baseline aquifer monitoring requirements set out by governing bodies. Stringent conditions require the installation of Monitoring Wells to gain extensive background data on groundwater aquifer conditions before works commence. The Monitoring Wells are also to be strictly scrutinized during the exploration phase to determine whether the works are having any affect whatsoever on the groundwater aquifers. Drilcorp works alongside the EA, NRW, SEPA and DECC to install these groundwater Monitoring Wells. The Company is not part of the fracking process and the wells installed continuously monitor any impact to the groundwater aquifers that may be caused from the drilling of exploration boreholes. 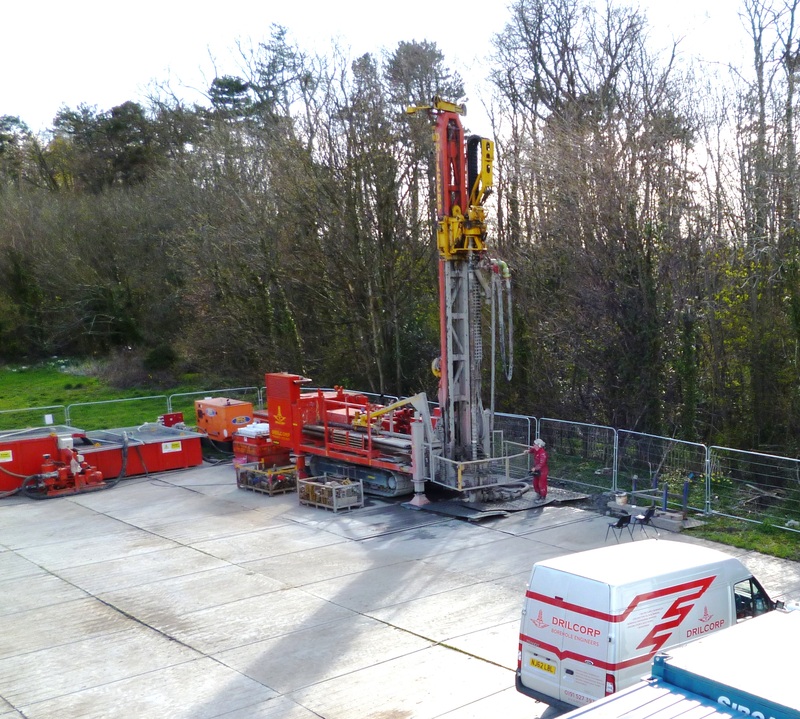 Drilcorp has recently successfully worked alongside the BGS (British Geological Survey) in installing a sequence of Monitoring Wells around the perimeter of a proposed exploration site near Blackpool. Works consisted of installing 2no Monitoring Wells, each designed to gather long term information on aquifers situated 20mtr and 40mtr beneath ground level at 6no locations surrounding the site. A deep (500mtr) Monitoring Well was installed central to the location to monitor the sandstone aquifer nearest in depth to the exploration zone. 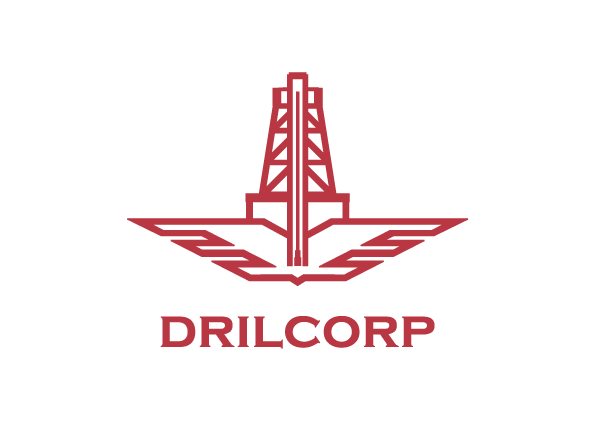 The deep well was drilled using Drilcorps Conrad Comax 800HD (Large top drive rotary drilling machine) with capabilities of drilling to depths of 800m using a polymer mud flush. This technique of drilling was chosen in order to reduce the risk of the clays and mudstones swelling and causing problems during the drilling process. A primary surface casing 244mmØ was installed and grouted to 50mtr below ground level. The borehole was advanced at 240mmØ and a heavy duty 180mm casing was installed to 350mtr and the annulus was fully grouted. The borehole was completed to 500mtr at 171mmØ. Rock samples were taken at 1mtr intervals throughout the works to be stored for future reference following the exploration phase. A 300mm standpipe was set above ground level and a PN16 (16bar pressure rated) slip flange was then welded to the surface and a blind capping flange fitted and fully bolted to secure. All works carried out were compliant with EA standards and full drilling logs were submitted electronically on a daily basis. A representative from the BGS stated that they were delighted with the finished results from this project.